When we are moving, motor circuits in the spinal cord are constantly being barraged by information from sensory receptors in the skin and muscles, telling these circuits what our limbs are doing or what the ground underfoot feels like. 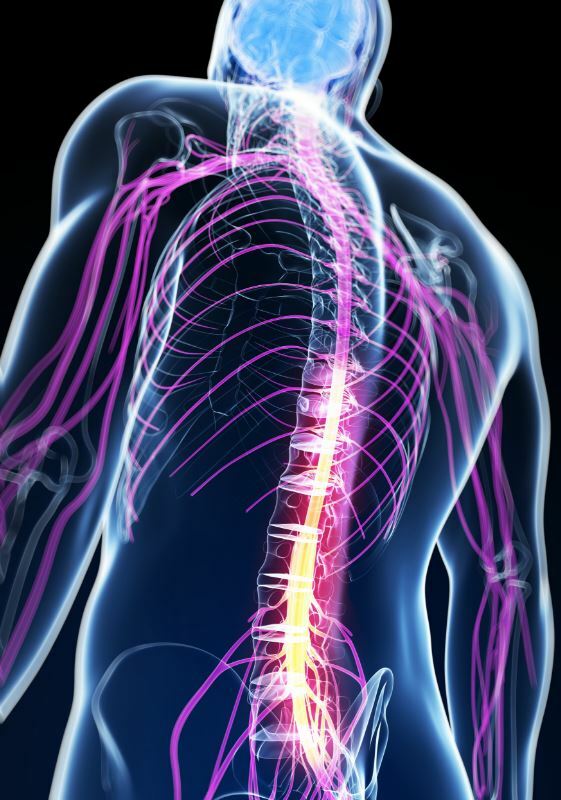 Cells in the dorsal spinal cord (the back) receive sensory information from the body and then pass it on to neurons in the ventral part of the spinal cord (the front) that generate coordinated movement. Salk Institute scientists have solved a longstanding mystery about how our spinal cord knows when to pay attention to certain pieces of information, and when to ignore it as distracting from the task at hand.